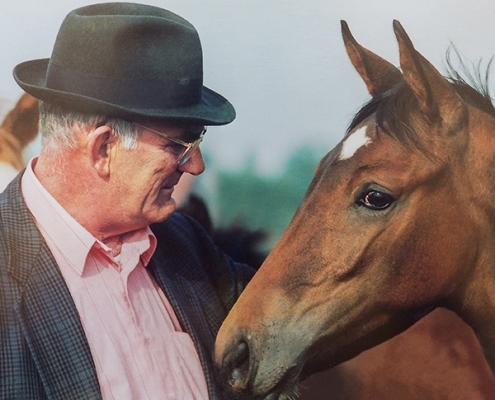 The love of horses began with Mr Jo Rutten, Bert’s father. He was a man of few words but what he said struck home. He always did things his own way following his own instinct in the dressage world, and was very successfull. From the rural Limburg equestrian sport he managed to break through into the world of international dressage and also earned his stripes in KWPN-breeding. Jo’s first horse Banjo (by Doruto) was immediately a hit. He achieved much international success with this horse and participated in the Olympic Games twice, once with Banjo and later also with Ampère. His debut was in Montreal, Canada. Together with Banjo he came ninth in the individual final. This made him the highest placed Dutchman. Bert had travelled with his father and was deeply impressed. For him it was clear: I want to do this too! Bert qualified for the Olympic Games in Los Angeles in 1984. Father Jo travelled with his son as the reserve rider. Once there however they discovered that Bert’s horse was lame. Jo took Bert’s place with the just six-year-old Ampère (by J. Amagun) and came fourth with the team. A year after these Games (in ’85) father and son decided to set up Dressuurstal Rutten. As well as being an ardent and enthusiastic dressage rider, Jo had a good feel for breeding. Here too he trusted his own instincts and followed his own ideals. He bred the approved KWPN-stallions Montecristo, Tchaikovsky and Obelisk. He also bought the approved stallions El Corona, Havidoff (keur), Havanna and Paganini as foals. The approved Clavecimbel (keur) came to Dressuurstal Rutten as a two-year-old. Many of the stallions are named after well-flavoured cigars. 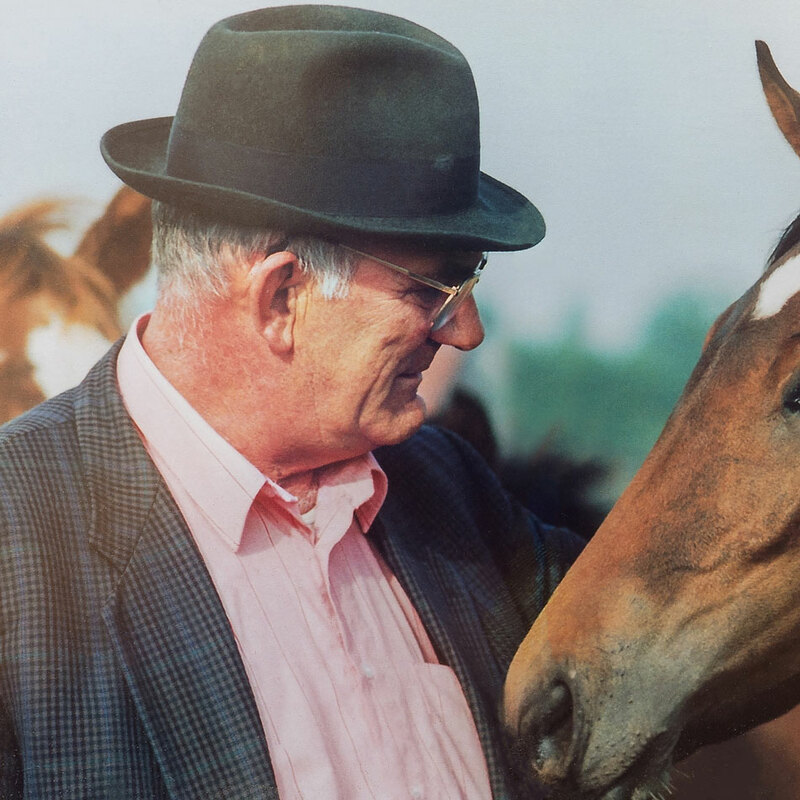 These names became synonymous with Jo who will never be forgotten, this remarkable self-made horseman with his natural instinct was unimaginable without his trademark hat and cigar.